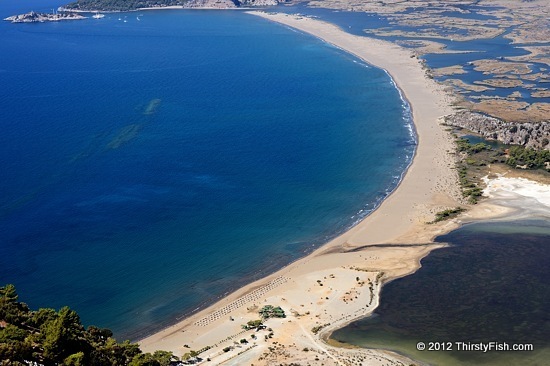 Iztuzu is a 4.5km (~2.5 mile) beach located south of the town of Dalyan. The beach is a natural barrier between the fresh water delta of Dalyan River and Mediterranean Sea. The beach is a prime breeding ground for the endangered Caretta Caretta (Loggerhead) sea turtles. Iztuzu has been named one of the best beaches of the world by a number of publications, and I definitely agree; it's just perfect. After a day at Iztuzu, other beach destinations seem "less".